General Manager of Retail Banking at Republic Bank, Sharon Zephirin, NCF Chief Executive Officer and Republic Bank's General Manager of Corporate and Commercial, Sean Husain, with members of the Riddim Tribe dance troupe at the cheque presentation for the 2017 Republic Bank Grand Kadooment. 2017 may be seeing some bands dropping out the race to August 7, 2017, but according to band registration to date, this is set to be the biggest Republic Bank Grand Kadooment ever. 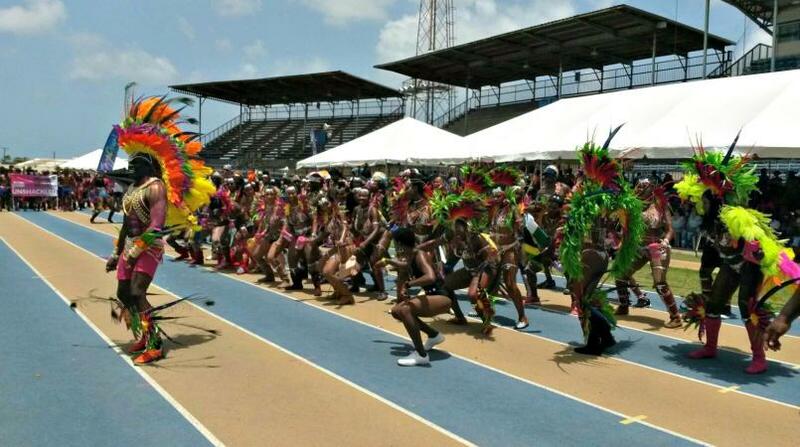 Thirty-three bands are registered for this year’s Republic Bank Grand Kadooment according to the National Cultural Foundation (NCF). 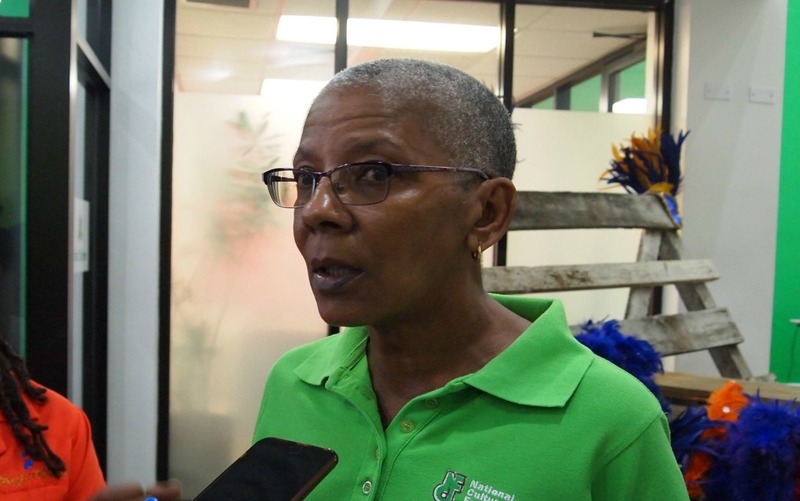 The NCF Chief Executive Officer, Cranston Browne told the media, "In an analysis of the registrations from 2014 to 2017 however, we have seen a 37.5 percent increase in the number of bands, with a slight increase year-on-year from 24-33. This also equated to an approximate 43 percent increase in revellers over the same period moving from 9 470 to 13 545. 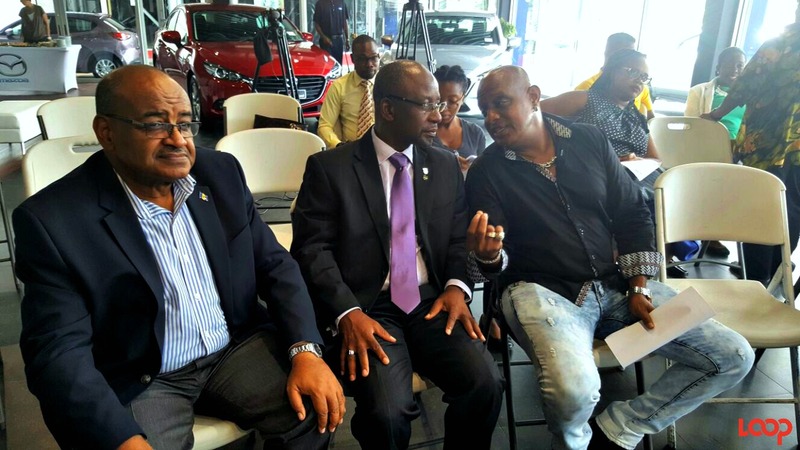 His comments were made at the launch of the Republic Grand Kadooment at the Warrens Branch this afternoon. 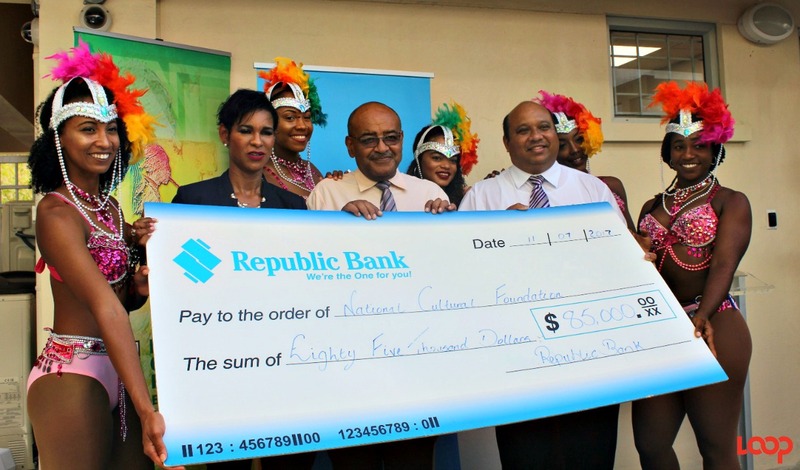 The bank presented a cheque for $85 000 to Browne at the ceremony held after a mini-Kadooment of sorts with Riddim Tribe and Dancin’ Africa dancers, tumblers, green monkeys, stilt walkers and De Pomposetters tuk band. And she said that another hope of the bank through their participation, is “to see a renewal of interest in costume design, the presentation of kings and queens of the bands” and more. Producer of Grand Kadooment, Adisa ‘Aja’ Andwele said that he wants to continue seeing the evolution of the masquerade which is happening under the Republic Bank flag.